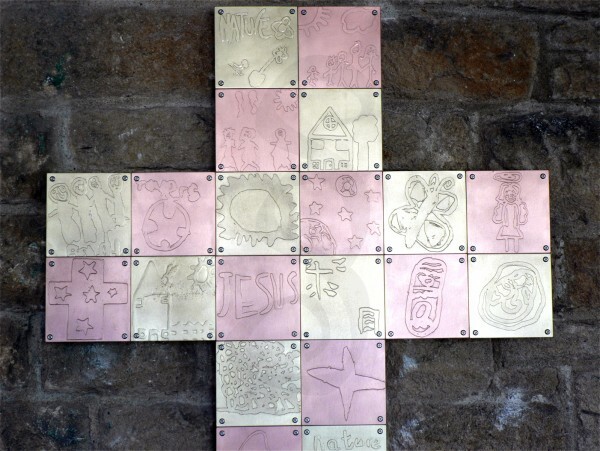 This was a project that the whole school participated in. Each student designed an image inspired by the theme ‘Belonging To The Community’. 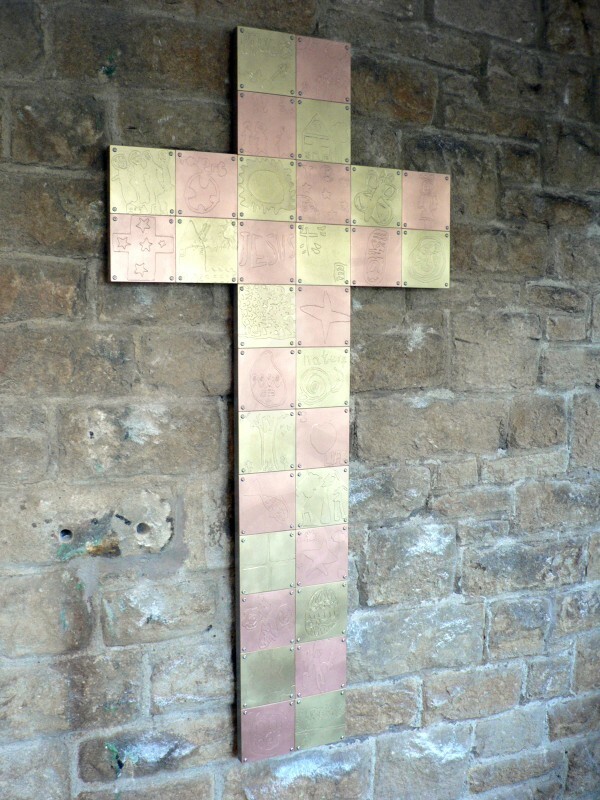 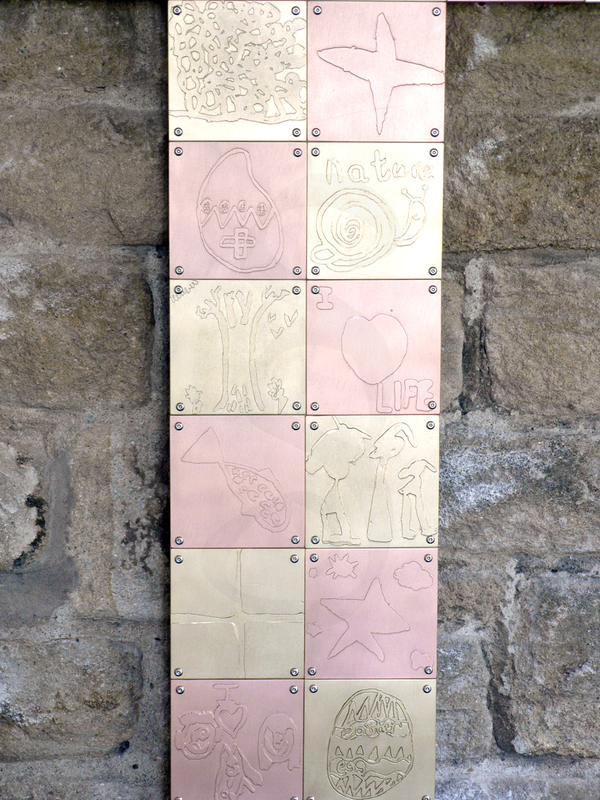 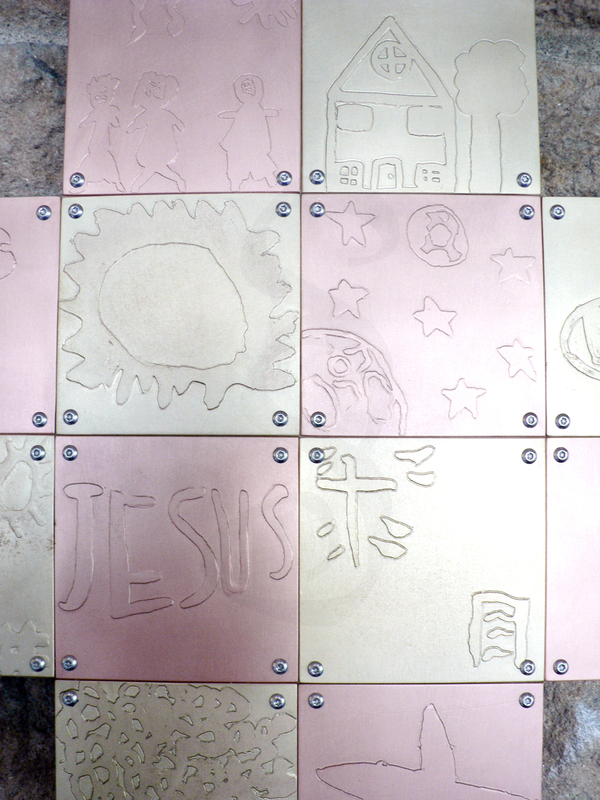 The images were drawn on to the copper and brass tiles by the students and then etched subsequently to create the final outcome.